When building a new home, one of the things that you should always be considering is the best ways to take advantage of natural light, and how even small changes in your architectural planning can make a huge difference when it comes to letting in more light. Here are 4 reasons natural light is important in your home. The obvious way that natural light reduces your dependence on electricity, is that you won’t have to turn on your lights in dark rooms as often and you can leave them off for longer as the day turns to night. However, natural light can also help reduce your heating bills. The sun coming in through your windows in the morning time and throughout the day will actually heat up your rooms, you may still have to use your central heating system but for a bit less time each day. When building a new home, conserving energy wherever possible is always high on the list of priorities. More natural light means more windows, and more windows means more views. If you’re building a new home in an area you love, being able to see that area is a huge bonus. That comes with the added bonus of being able to easily keep an eye on the kids while they play outside without having to constantly go back and forth from that one window that has a good angle of the garden. Plants need the natural light of the sun to survive and be healthy. Having a home with plenty of natural light is the easiest way to keep your plants thriving and detoxifying the air. 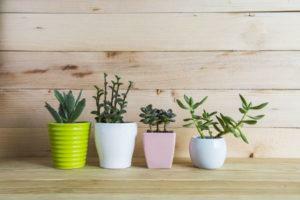 More natural light gives you far more opportunities to grow indoor plants to decorate your home. When your skin is exposed to the sun it makes vitamin D. Vitamin D is important for healthy bones, immune systems, intestines, cardiovascular systems and much more in both children and adults. 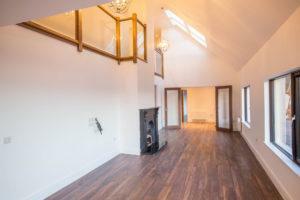 Due to the weather, Irish people are generally lacking in vitamin D so creating a home that helps you get the most natural light can only be a good thing. When you are designing your new home, natural light is hugely important. It can help you save money on your energy bills, open up more views to look out at, give you far more opportunities to easily grow indoor plants and it increases your vitamin D production. If you have been thinking about designing and building a new home, book your consultation with Sigma Homes today by visiting us online or by calling us on 021-436-5866.